Indulge in a Magical Spa Experience with Afternoon Tea at The Johnstown Estate, Co Meath. Then, complete your pamper day with Afternoon Tea in their private dining area. Your spa day also includes full use of the Relaxation and Thermal areas and a 10% off any retail product bought. The Johnstown Estate is where Georgian splendour meets modern day luxury. The 1750’s Georgian Rural Residence is set on 120 acres of parkland, overlooking the river Blackwater nestled between the villages of Johnstownbridge and Enfield. The Spa boasts 18 private treatment rooms, along with facilities including a spa lounge, an aroma steam room, a Finnish sauna and tropical rain showers. 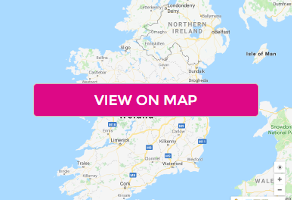 The Johnstown Estate Hotel & Spa is situated on the Meath / Kildare border with superb access via the M4 motorway located 35 minutes from Dublin City or Dublin Airport. The clock is ticking, don't miss this one!